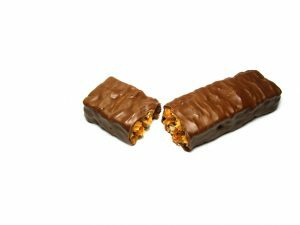 A California man was arrested recently in connection with an alleged crime involving a chocolate bar containing THC. According to KEYT, the incident occurred on March 12, 2017 and the man was arrested both because of other drugs found during a search, as well as because he was accused of not disclosing to the woman who consumed the candy that there was cannabis in the confectionary treat. Under the laws in the state of California, knowingly providing an edible cannabis product to another person without first informing the recipient that the food contains cannabis can be considered a form of unlawful poisoning. This can result in legal charges and criminal prosecution. If you are arrested for this type of crime or if you are arrested for any offense related to cannabis, it is important you contact a marijuana criminal defense lawyer for help responding to serious charges. You could potentially face substantial penalties for the crime of poisoning or other marijuana crimes, and you should work with your attorney to develop a sound legal defense strategy aimed at securing an acquittal or aimed at reducing possible penalties through the effective negotiation of a reasonable plea bargain. According to KEYT, the arrest in connection with the cannabis candy bar occurred after the Thousand Oaks Police Department made contact with a woman who was working at a restaurant on Moorpark Road. The woman indicated her 36-year-old male co-worker had offered her a portion of a chocolate bar he had with him while he was at work. The man allegedly did not tell the woman the chocolate bar was a cannabis edible and thus contained a dosage of THC. After consuming the chocolate bar with THC, the woman began to experience difficulty breathing. She also indicated she became disoriented and confused. Her condition caused allegedly her to become unable to continue working. A family member escorted her from the restaurant to her vehicle, and later a family member helped the woman to visit a medical facility to receive treatment for the symptoms she claimed to be experiencing. When the police were contacted about the possible poisoning, they conducted an investigation and obtained a search warrant for the co-worker who had given the woman the candy bar with the THC. The police allegedly found a chocolate bar which contained THC among the man’s possessions. The cannabis edible discovered by police was similar to the one which the man had provided to the woman who claimed she’d been poisoned by the candy. The police also discovered more than $600 in cash as well as 70 pills that appeared to be ecstasy. Because of the cash and the number of ecstasy pills which police discovered when conducting the investigation, the man was arrested on suspicion of possession with intent to sell a controlled substance. Police, under the law, are able to assume possession due to larger volumes of controlled substances even if there is not actually any proof an individual who had these substances in his or her possession was actually selling them to others. This can lead to much more serious charges and harsher penalties than a simple possession charge.